Last week, Upgrader offered digital marketers the first content marketing conference ever to be organized in Bucharest. A sensational international line-up of experienced speakers did it justice. Great, vivid and comprehensive presentations put this event on the map and everyone is eager to hear news on the next edition. 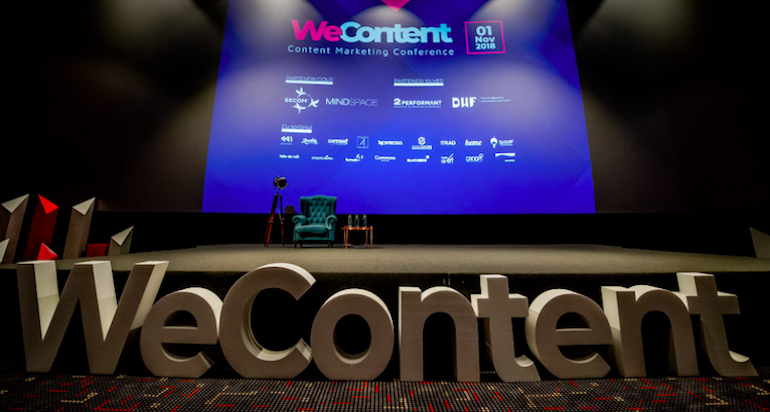 WeContent kept its audience engaged and focused throughout the day, starting with British content expert Sonja Jefferson and ending with an out-of-the-box, entertaining experience put together by the well-known Jon Burkhart. It appears that we are more inclined to trust mobile devices when making buying decisions. The fact that we paid for it is subtly making us invest trust in messages we access by using it. I am assuming this is about self-approving. It’s a sophisticated theory, but it makes sense to me. Many thanks for sharing these ideas at WeContent: Sonja Jefferson, Jon Mowat, Petru Cuciuc, Oana Bulexa, Kevin Gibbons.